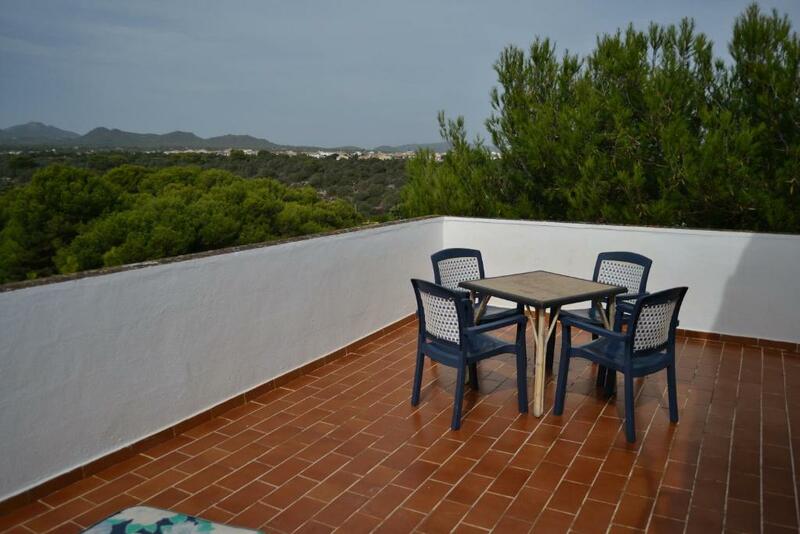 Perfect location, few steps from the beach in the quiet area of Porto Colom. Room was spacious, same as the terrace. Near the apartments you can find all you need, from the small supermarket to restaurants and other shops. We loved the balcony and location near to the beach, small supermarket and plenty of bars and restaurants. The apartments also had English Tv (which we didn’t use much) and reasonable WiFi. Bed was super comfortable and the view from the balcony was amazing! Very good location near beautiful beach. Nice big apartment. We was very satisfied ! 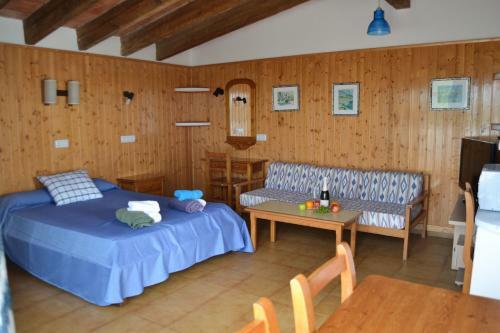 Outstanding location and a perfect beach nearby that doesn't get very crowded unlike the ones in cala dor. Lots of cheap restaurants nearby too. Hosts were very helpful. The room was very confortable, with a big balcony and a great view. Besides the TV, it has a sound system. The kitchen is really small, but it has all the appliances needed. Near restaurants and a supermarket. It is next to one of the most lovely beaches in the island (Cala Marçal). Amazing location! Nice beach just around the corner, literally a 1-2 min walk. Great seaview. Small Spar supermarket around the corner too. Less than a 5min drive you can reach a bigger supermarket. We had a cute room with a nice big roofterrace. All facilities for some simple cooking at the mini appartment/studio (2 pits for cooking, microwave, toaster, cutlery, salt, waterboiler, coffee machine, fridge). Very friendly and helpful staff! A definite recommendation! The location was great,very near a beautiful beach. Lots of places to eat. Walking to harbour was nice. Lock in a great price for Apartamentos Can Marsalet – rated 8.1 by recent guests! One of our best sellers in Portocolom! Just 150 feet from the white sandy cove at Cala Marsal, Apartamentos Can Marsalet features studios just outside the center of the charming fishing village of Portocolom. 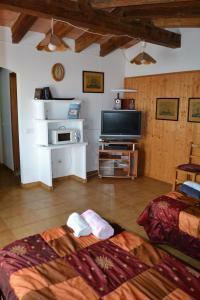 It offers well-equipped accommodations with a balcony or a terrace. Each spacious studio at Apartamentos Can Marsalet has simple, modern décor with tiled floors. There is air conditioning, free Wi-Fi and a sofa. 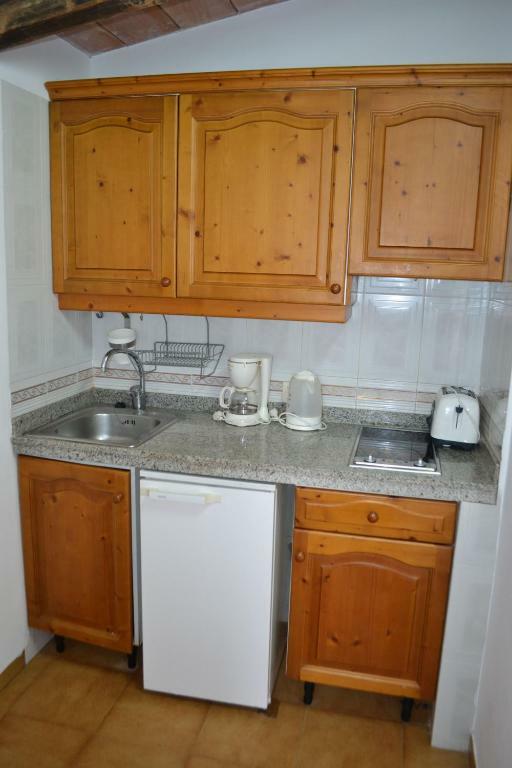 The kitchenette comes with a fridge, kettle and a coffee maker. Shops, restaurants and bars can be found within 150 feet of the studios. The center of Portocolom is less than 5 minutes’ drive away. Palma and its port are within an hour’s drive of the Can Marselet. The island’s airport is approximately 37 mi away. 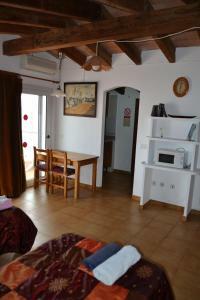 When would you like to stay at Apartamentos Can Marsalet? Featuring a balcony or a terrace, this spacious studio has simple, modern décor with tiled floors. There is air conditioning, free Wi-Fi and a sofa. The kitchenette comes with a fridge, kettle and a coffee maker. It has either a double bed or 2 single beds. House Rules Apartamentos Can Marsalet takes special requests – add in the next step! Apartamentos Can Marsalet accepts these cards and reserves the right to temporarily hold an amount prior to arrival. Please inform Apartamentos Can Marsalet of your expected arrival time in advance. You can use the Special Requests box when booking, or contact the property directly using the contact details in your confirmation. The kitchenette was very small and missed bowls or a tea pot. The apartment was ready at our arrival and it was a super fast check in and check out process. Extremely convenient with a sleeping baby. We got an extra cod for the kid and found all the essential necessities inside. We could see the beach from the balcony and walk over in 2 min. Fantastic! The apartment could be cleaner when we've arrived. It was not very dirty but you could clearly see it was not properly cleaned after the previous guests- leftovers of toiletries, not properly washed dishes, dust and small trash here and there. Also some of the equipment should be exchanged in the apartment, e.g. very damaged and scratched frying pan and other kitchen tools. We chose these apartments as they promised us a double bed, when we arrived we had twin beds, this was disappointing and the only real negative. You'll need your own transport to get around. Bathroom slightly smelly. A bit too far from the capital! The pub/ restaurant opposite gets busy and loud in the evenings. We dont know that keys will be in door when we check in and we waiting while they open their office. They were able to send mail with this information when we wrote when we go. Challenging to find a parking spot nearby.. owner told us to use the nearby restaurant parking which was good. The flat hasn't been cleaned even once during my 6 days stay.. there was no washing powder provided and I'm not buying a whole pack for a single usage. Some of the lights didn't work. It's quite noisy outside the apartment - the shop beneath the apartment wheels noisy trolleys in and out of their shop twice a day. The wifi was not always working well. Toilet is a bit smelly, there is a lack of good professional cleaning in this particular place. Kitchen stove is also not very clean, probably haven't been cleaned after some guests. The restaurant just opposite the street could be VERY loud.